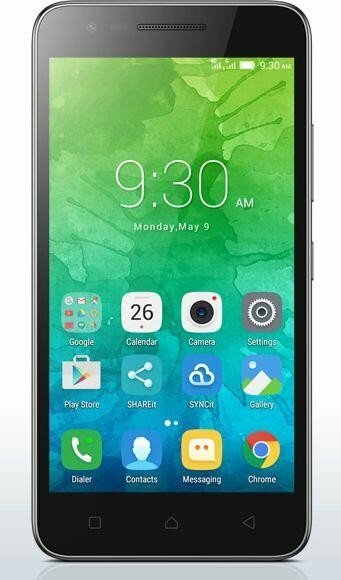 Model: The C2 is Lenovo’s latest offering on its range of smartphones for the budget-conscious. Also codenamed as the ‘Power’, it is slated to be a device which provides much strength in its performance and speed with a low price tag. The build of the C2 is kept basic and straightforward. It is largely made out of plastic which is not surprising considering its price factor. Its dimensions measure 5.63 x 2.81 x 0.34 in and weighs 139 g. The smartphone is slim and light. It is also easily pocket-able and convenient for one-handed operation. 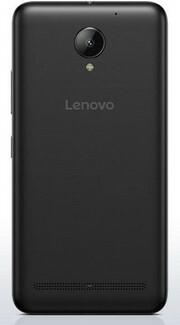 Lenovo ships the C2 in dual SIM mode (Micro-SIM, dual stand-by). It is capable of supporting LTE which makes web browsing on this smartphone a breeze. Its 5.0-inch IPS LCD capacitive touchscreen features 16M colors and a resolution of 720x1280 pixels. It may not be anywhere near Full-HD resolution but images and visuals still appear clear and bright. This smartphone runs on Mediatek MT6735P processor. Although not exactly the fastest processor around, the device will work well and perform rather fast when used for web browsing and other similar applications. 2 GB RAM and 16 GB internal storage for media, OS and application are available. The storage capacity can be expanded by up to 32 GB with a MicroSD card. The integrated 8 MP rear-facing camera comes with autofocus and LED flash. Camera features include geo-tagging, touch focus, and face detection. It is pretty much a very basic camera, enough for the casual user. There is also a 5 MP secondary camera for video calls. The connectivity includes Wi-Fi and Bluetooth, and it also comes built-in with an FM radio, something that is often left out in high-end devices. One notable feature of the C2 is its removable lithium ion battery rated at 3500 mAh. The battery life is long lasting and can be rapidly recharged via its microUSB port but if that is not enough, just replace the battery with a spare unit and get from 0% to 100% within seconds. Sound quality on this smartphone is equally good as it is enhanced by Waves MaxxAudio. The color options available are black and white and both looks simple and nice. It comes pre-installed with Android 6.0 Marshmallow. In all, the C2 is a straightforward, basic smartphone which works decently for those who require a smartphone for running simple tasks and web browsing. 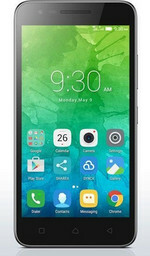 Its low price factor makes it an appealing entry-level smartphone. Its removable battery makes it a rare breed and will be a perfect choice for people who are always on the move.